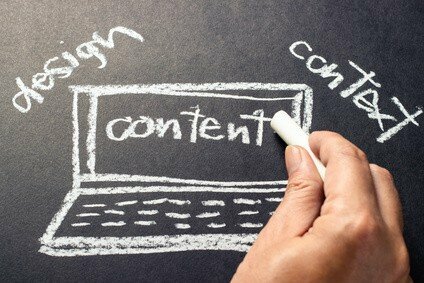 Your website needs content – lots of it – if it is to face up to the online competition. The more content you produce, the more you are noticed and the more visitors you get. There is plenty of research that shows websites that regularly add new, fresh and exciting content are the sites that get the most traffic and the greatest business. If you want to do well online, you simply have to keep adding more and more great content. But therein lies the problem. How can you keep adding great content and remain consistently good? Here are three ways that will help you consistently produce great content. The more times you do something, the more you learn. Writing content only now and then does not prepare you enough for consistently producing great content. The best content producers are those who spend a great deal of time writing. They write a great deal and in doing so they learn how to write better, they develop techniques for writing more effectively and they are keen to find out more about the process of writing. The more you write, the more you want to write well. One thing holding content producers back is not producing enough content. Up your game…! Produce more content and you will become better at it, enabling you to be more consistent in creating great content. Instead of creating content when the muse takes you, have a plan. You can use tools like CoSchedule or my own Blog Planning Tool to help you plan, but before you even think about organising your posts each week, you need to have a strategy. You need different kinds of content. How often will you add blog posts? How many times a month will you be producing a video? How often will you have “long” content? These are things you need to consider. Then your overall strategy might be two blog posts a week, one video a month, four long articles a year, one white paper every quarter and so on. You can then enter these details in your calendar, and you can then spend time considering what you might include. Rather than thinking of content when you need it, there will be a “mulling over” process, thanks to the strategy, which will help you create great content consistently. There is a link between great writing and reading. The more you read, the more you can write well. Indeed, I made that point almost five years ago in this post on “how to write a great blog.” Read widely and you will absorb what makes great content, helping you produce even more good stuff yourself. It’s a process of osmosis. But also make sure you read your competitors’ websites and blogs. They will be producing content for similar audiences so looking at what they produce shows you the kind of thing you could be doing. Again, this will help you focus and, therefore, be more consistent in producing good content. You could also use a service like Buzzsumo. Type in a word or phrase and you’ll see a list of content and how widely that item has been shared in social media. This shows you what topics interest people, showing you what to write about more regularly, again helping you be more consistent. But don’t just look at the list – click on the links and read the articles that are widely shared. They are likely to be good articles; read them and learn from them so you can produce material of the same standard. The more content on your topic that you read, the more you will be able to produce consistently great content. It isn’t that difficult to be consistent with the quality of your content. But you need to have a strategy and a plan, and then you need to write as much as you possibly can and read extensively. Ask a top author how they produce loads of best-selling books. They’ll tell you two things: I read every day, and I write every day. Simple.